It’s fun making a quilt, and especially from start to finish including those swirly motifs. However a quilt becomes bulky, and to begin stitching, and there’s almost too much quilt and not enough space! 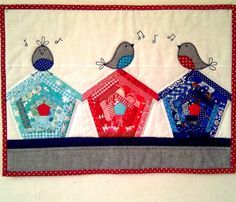 Try these simple techniques that are very easily implemented to provide the perfect control while quilting. Prepare the machine for quilting. To begin with, have a darning or open toe presser foot, or walking foot, that allows a free range of movement in order to move the quilt any way you want, while you are quilting it. Lower the feed dogs, or if the machine does not provide for that, simply tape a piece of index card over them. You could also use a snow carpet which works really well too, and costs pennies! See how to use one here. Vicki of Sew Inspired says to change to a new needle, and mentions that there appears to be no difference between a quilting needle or regular universal needles at all. Using quilting gloves are essential, as they have gripper dots and make it much easier to move the fabric around while quilting. When I machine quilt, I start in the middle section and usually go left to right in a section about 8-10 inches wide, and then go back and forth while I’m moving down the quilt. Then when I get to the bottom, I clip threads, re-roll the quilt, and start again on one of the sides (or slightly over from the middle, if it’s bigger than a baby quilt). Vicki explains to start quilting at the top. Accordion fold the quilt from the bottom, and keep that part on your lap. Then quilt over to the right side unrolling it as you sew. When you stop quilting (on purpose that is, not when you run out of bobbin in the middle) you need to sew 3-4 stitches very close together to keep your quilting line from coming undone. When my bobbin runs out, I just start sewing about 1/2″ before the spot where my bobbin ran out, and sew right on top of those last few stitches. As you get closer to the bottom of the quilt, fold the top of the quilt under. Once one side is completed, simply repeat for the other side. Try to blend the quilting together for each side. 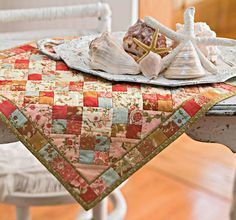 For more details on tips to practice before you begin, as well as adjusting the presser foot, and how to start and secure the first stitch, Vicki’s free tutorial shows step by step, how to quilt on your home machine. Affiliate Disclosure:Quilting Cubby contains a link to products we’ve used or found during a project, or perhaps something that someone else has suggested. By sharing these links we hope to make your shopping for your project easier.If an affiliate link is clicked, a small commission is paid to Quilting Cubby on the sale of that item. Thank you for sharing our enthusiasm for quilting and sewing projects, as well as your support for every purchase you have made. 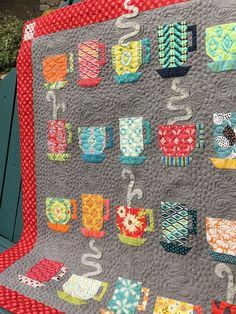 Copyright © 2019 Quilting Cubby.